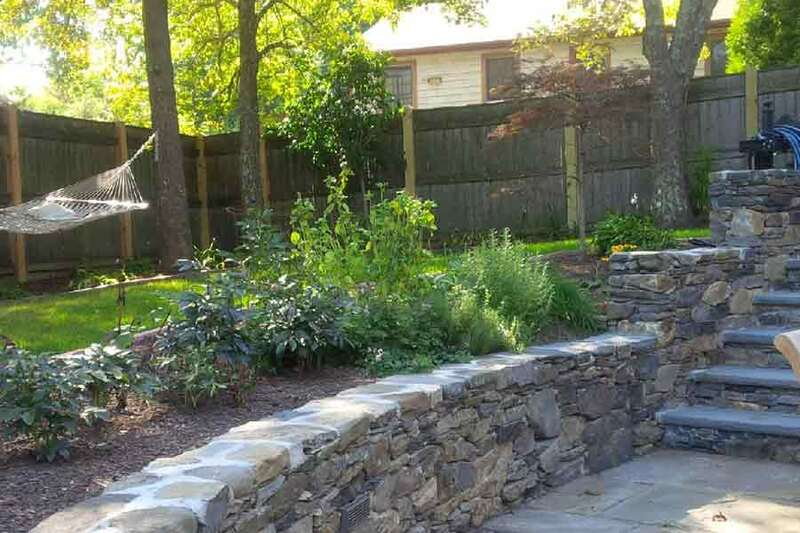 They were interested in carving out more functional space in their back yard and side yard. access between the yard and the house. 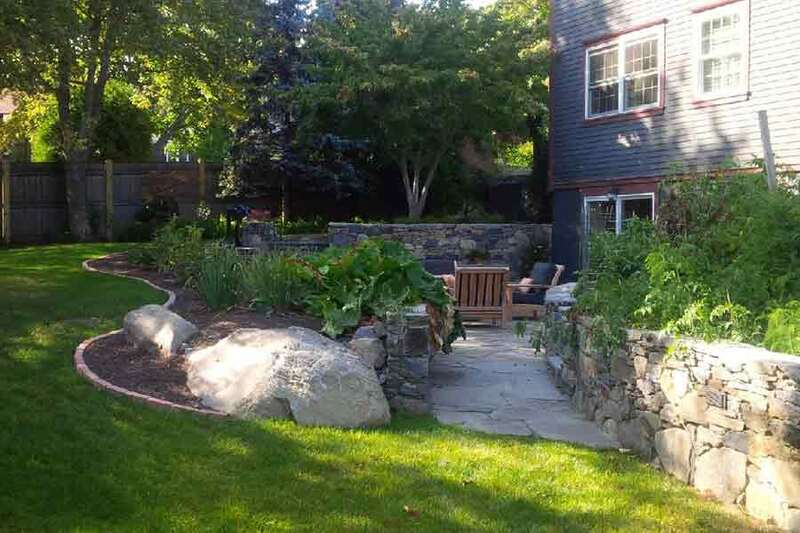 They wanted to redesign their front yard landscaping for ad ditional privacy as well as curb appeal. landscape master plan for the site. 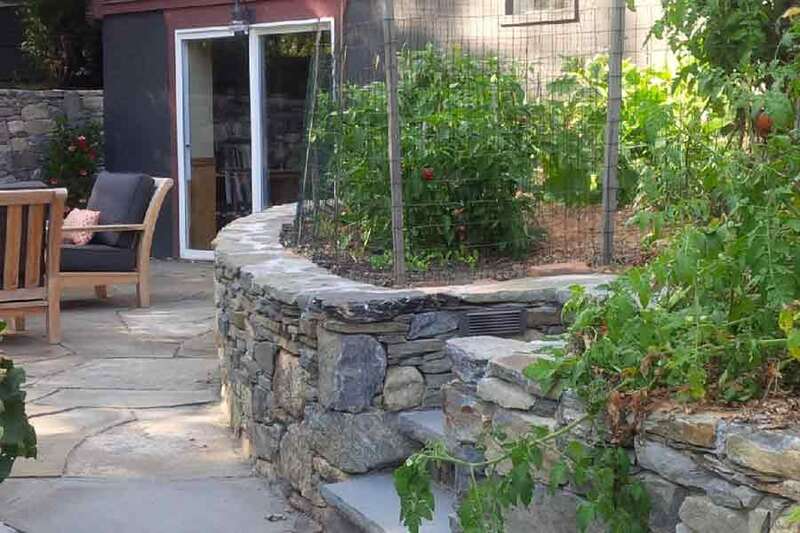 We provided larger functional spaces along the back yard ( South Side) through terracing which provided the owners with a larger patio area surrounded by terraced vegetable gardens. We added an outdoor shower and water storage tanks plus a potting table to one side of this lower patio to provide better access for gardening activities. To create easier access from upper and lower deck/patio areas, we linked the lower patio to the upper patio and deck area on the west side of the house via a new stairway that threaded through a series of new planting areas to create a feeling of an enclosed staircase. 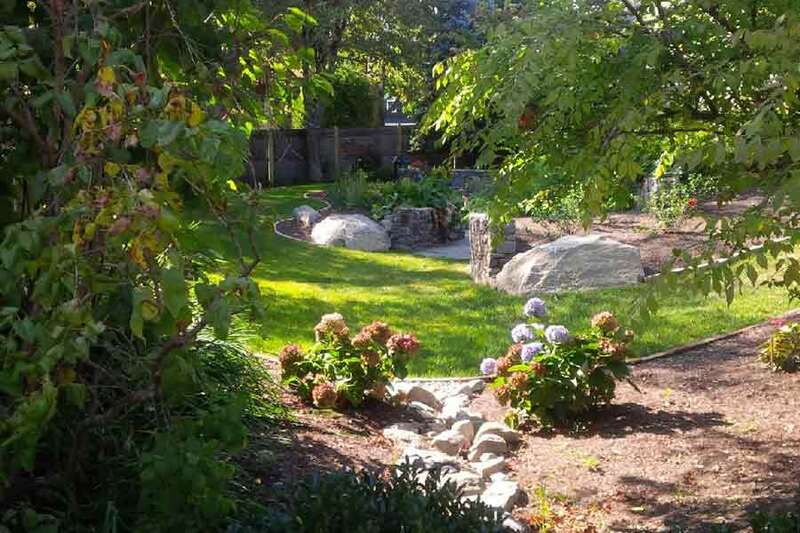 To provide more privacy, we added planting beds along the fenced property lines on the south and west sides but created sinuous beds with a variety of deciduous and evergreen materials so that the yard did not look boxy and angular. channel away from the patio to an outlying rain garden area.